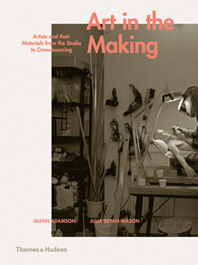 Julia Bryan-Wilson is Associate Professor of Modern and Contemporary Art at the University of California, Berkeley. She is the author of Art Workers: Radical Practice in the Vietnam War Era and her writing has appeared in Art Bulletin, Art Journal, Artforum, Oxford Art Journal, and other venues. Books by Julia Bryan-Wilson in Our Catalog.